Using curved surfaces can create really interesting and dynamic forms, but when it comes to modeling them, it can get frustrating. Ever wanted to change a curved surface only to find out there’s no way to push/pull curved surfaces in Sketchup? There’s nothing like realizing you may have to start all over. Well good news for you, there’s a plugin for that! 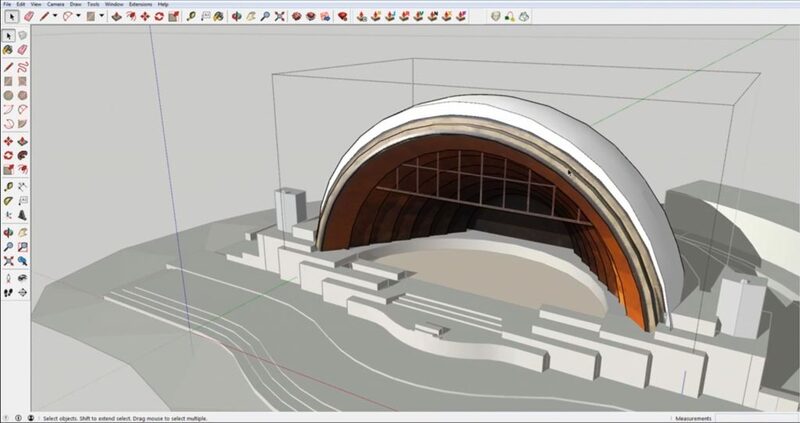 Check out this tutorial to find out how to easily push/pull curved surfaces in Sketchup and model your designs with ease. If you try to alter the shape of a curved surface without the plugin, you will notice that the push/pull tool will not work. 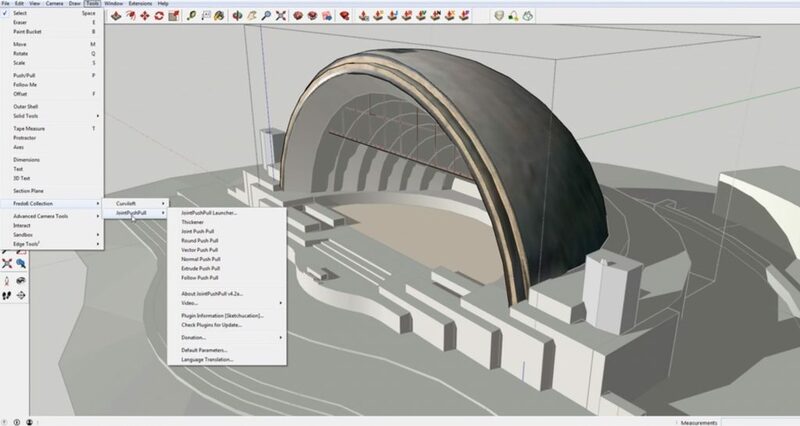 A message from Sketchup will appear saying “cannot push/pull curved or smoothed surfaces.” Trying to move the edges won’t do you and good either. It will just deform the shape you’ve created. To avoid recreating the entire model, simply follow these steps to install the plugin! Before you can start using the plugin you’ll have to install it in two parts. Unfortunately, unlike most plugins, you can’t go directly through the extension warehouse to install this one. But it’s still pretty simple, and once you have them both installed, it makes manipulating curved or smoothed surfaces much easier! If you need help installing the plugins, you can check out this video to learn how to install plugins that aren’t from the extension warehouse. First, install the Freedo6 plugin from Sketchucation. Then, you’ll also need to get the Joint Push Pull plugin from Sketchucation. Once you have each of these installed, you can get to work! File > Freedo6 Collection > Joint Push Pull. With your Sketchup model open, navigate to “file” and hover over “Freedo6 Collection” to select “joint push pull.” You can also get to the tool from your top menu bar. Select Surface > Joint Push Pull. To begin, select the surface you want to change. Then, select the “joint push pull” icon from the “file” tab or your menu bar. Click and drag the surface to the desired new amount, or type in the amount you want to extend it by. Enter. Once you have dragged your surface to the desired new size, simply hit “enter” to exit the command. That’s it! 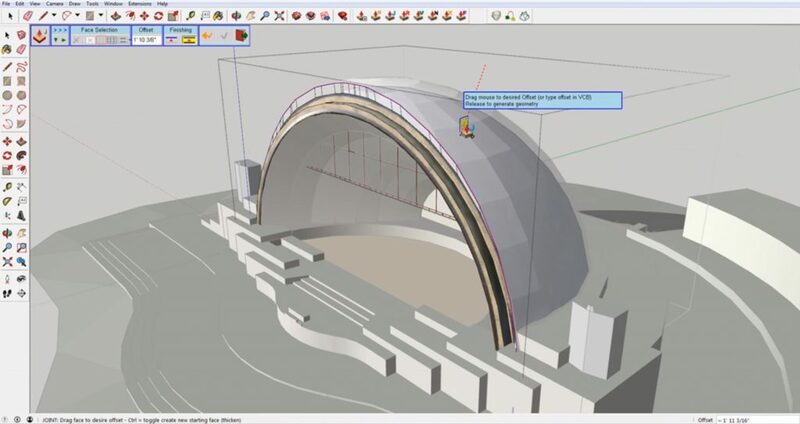 Working with curved surfaces has never been so easy, right? You don’t have to worry about scrapping a model or settling for a different look anymore! No matter what you want to push/pull curved surfaces for, this simple plugin will help you get the job done. What kind of projects do you need to push/pull curved surfaces for? Let us know in the comments!